This time I’ll talk about this course of English. In the beggining of the semester I was not sure about taking this course, because I thought that I wouldn’t have enough time… there are too many subjects, and all of them are too difficult. 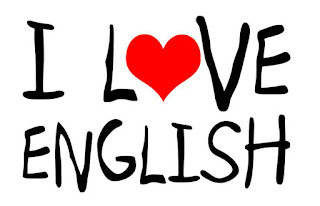 But then I realized that my English was not so good, and I considered the subject as an opportunity to recover and improve my detrimented English. Now I think I made the right choice. I had forgotten a lot of English words and several expressions, but now I remember many of them. Writing on the blog was a big help to remember and to learn more about this beautiful language. But the best of the English course was our beloved teacher, who always helped us when we needed her. She also explained all the matter very well. I think she is one of the best English teachers that I’ve ever had. I still have a problem: I’m good writing and reading in English, but I still have a bad pronunciation. I think I talk in English like a 3 years old chlid. To get a better pronunciation, I’ll take another English course in the future, maybe the next year in the summer… because I only have time to do that on summer vacations. In these days, I don’t need to talk in English. I only use English to read few psycological texts and some other things related to amusement (games, movies, etc.). But in general, I don’t need to use English for any relevant issue. Take care... live a good life and Carpe Diem.